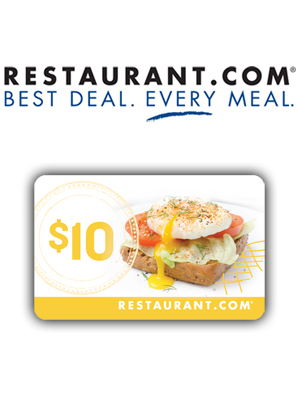 Free $10 Restaurant.com eGift Card* when you sign up for ValueMags. Once your registration is complete, check your email and verify your email address. We’ll email your $10 Restaurant.com eGift Card 2-3 weeks once qualification is confirmed. Whether you’re browsing for a quick bite or planning a big night, Restaurant.com will help you discover the perfect dining experience. Your new favorite restaurant is out there – go ahead, dig in! For new ValueMags members in the US. One per person. While supplies last.